Unlike under Chapter 7 where assets may be sold to satisfy debts, bankruptcy under Chapters 11, 12 and 13 involves allowing the debtor to keep all of his or her property, and to use future earnings to pay off creditors instead. While Chapter 11 filings by individuals are allowed, they are rare, and most of the "reorganization" cases Morgan Rose works on come under Chapter 13. (Chapter 12 is similar to Chapter 13, but applies only to two very specific industries). Sometimes referred to as "wage earner's bankruptcy," a Chapter 13 petition is often the answer for individuals with steady full-time employment but who are unable to meet their monthly obligations, plus maintain a reasonable standard of living commensurate with their income. Under this form of bankruptcy, a court-ordered trustee helps put you in charge of your finances by allowing you to organize monthly payments to creditors, in as little as 3 years. The Court may allow lower interest rates, may eliminate late fees, and may discharge parts of your debt. In addition, all collection attempts and harassing communications are required to cease. Some factoids on those "chapters": Federal law in the United States is contained in the "Code of Law of the United States of America," commonly known as the U.S. Code, and has 51 different sections, or Titles. 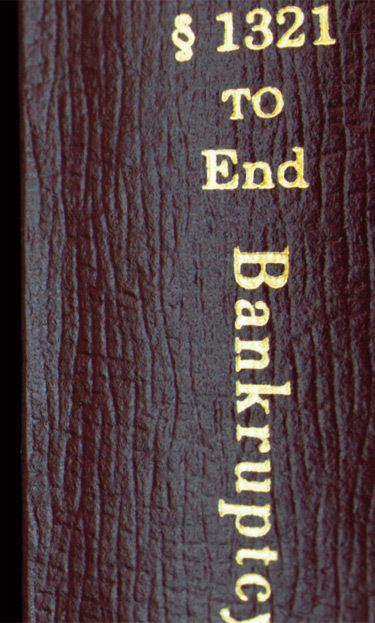 Bankruptcy law is covered under Title 11, and you often hear about different kinds of bankruptcy as "Chapter X" or "Chapter Y." Believe it or not, they're actual chapters in real books - very long, dry books; a reading assignment definitely best left to your attorney. See our FAQ section for more information. For a free case evaluation contact us online or call (301) 838-2010. We understand that filing for bankruptcy is a difficult decision, often a last resort, taken only when less drastic measures have failed. Although not the right choice for everyone, Chapter 13 has helped countless Americans to rebuild their financial futures following a rough patch. Our knowledge and personable legal team has over 15 years of experience handling thousands of bankruptcy cases on behalf of Montgomery County individuals and small business owners. We'll conduct a comprehensive, free and confidential evaluation of your case to determine whether Chapter 13 is the best way to work your situation out. We'll inform you about all of the options available to you and answer any questions you might have about bankruptcy and debt resolution. And ultimately, we'll enable you to make the choices that are best for you and your family.